Daily access to fresh fruit provides a healthy, positive and energetic environment which benefits staff and everyone entering your buildings. Demonstrate your positive commitment to well-being, improved health and thereby reduced absenteeism. Fruit bowls located throughout the building reduces ‘downtime’ away from work as staff no longer need to go elsewhere for a snack. 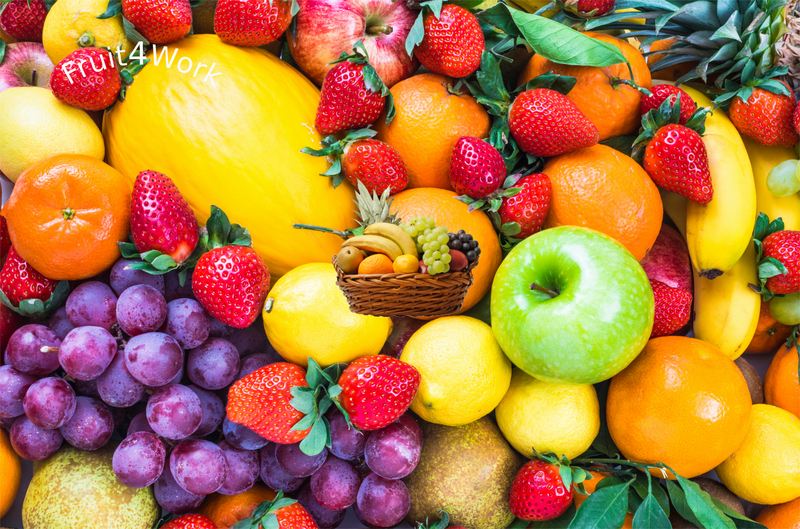 Fruit 4 Work provides free attractive fruit baskets. Once or twice a week we can refill the baskets throughout your buildings. We deliver pre-sorted fruit in baskets for your staff to distribute. Fruit is delivered for your staff to sort and distribute.